The New Year has come again and it is time for you to start thinking about all of those things that promised yourself you would do in 2015 but never seemed to get around to. Things like cleaning out the garage, doing better about saving money, losing weight and going to the gym are all typical resolutions each year that fall by the wayside after a little bit of effort, but there is one resolution you should make sure that you keep this time around. You want to make sure that in 2016 there is time to check your central AC to make sure it stays running well throughout the year. You keep telling yourself that you mean to have the AC system looked at and maintained but you always seem to put it on the backburner and it never really gets done. Then another year will have gone by without the proper maintenance being performed on the system and you will forget about it again. The problem with this approach is that your system is going to start to wear because it has not been maintained the right way. Parts will not work properly, systems get clogged and before you know it your system is underperforming, not working well or not working at all. 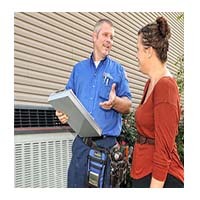 Even though it may still be early in the winter, it is never too early to start considering your AC system. You can arrange for an appointment now to have the system checked out and have any repairs done long before the warm weather really starts to creep back in and you are stuck without a working system. This gives you plenty of time to get the work done properly so you have nothing to worry about come the warm months of the spring and summer. All it takes on your part is one simple phone call to your central AC maintenance company and you can have your worries put behind you. You will feel much better about knowing you have taken the time to get your system checked and know that it is going to be working well for you all year long for when you need it. You can then cross this resolution off your list for 2016 and start thinking about tackling that messy garage.